This is a minimal CentOS 7 (x86_64) installation, on top of which Webmin has been added. This is a minimal CentOS 7 (x86_64) installation, on top of which Webmin has been added. Cloud-init, the defacto multi-distribution package that handles early initialization of a cloud instance, as well as all the CentOS security updates available at the release date (2018-03-18), are included. By default ssh root login is disabled and only the 'centos' user is allowed to connect using public key authentication. 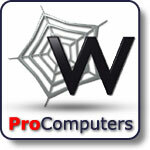 Webmin is one of the most used free web based system configuration tools for system administrators. In order to use it, you'll have to login first and then create an usable webmin username and password by running the 'webmin-init' command. Minimal CentOS 7 image having Webmin already installed. By default root login is disabled and only the 'centos' user is available and allowed to login using ssh and the public key specified at instance launch time. Webmin is one of the most used web based system configuration tools for system administrators. Everything is installed within one single 8 Gb partition. Network is configured to use DHCP and SELinux is enabled by default.